SUMMARY: Kiefer Sutherland has created a gritty, updated, Bonnie & Clyde. DETAILS: Gripping… the evolution of chaos becomes the theme as a team of drug crooks pay the consequences for one decision after another. It’s like watching a finely orchestrated, 90-minute train-wreck, as things go from bad to worse. 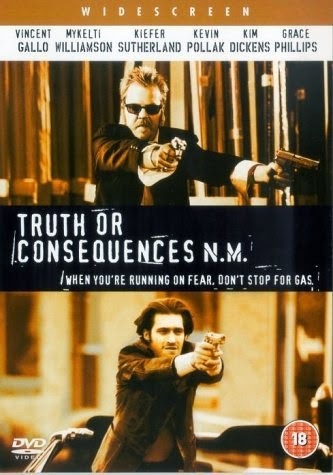 Kiefer Sutherland plays second-fiddle in their gang with Vincent Gallo & Kim Dickens at the helm. The plot takes them from stealing drugs from a dealer and taking hostages in Utah, to a play-gone-wrong in Vegas, and finally to the consequences of their actions in the dessert of New Mexico. Embedded in the group is an unlikely hero that certainly makes the film more interesting than your average crime story. This movie is heavy on language and bullets but certainly an interesting and entertaining ride.